It was back in 1971 when the water was bottled at the Sparea water spring for the first time, and still today, after 45 years, it is a point of reference in the mineral water sector. 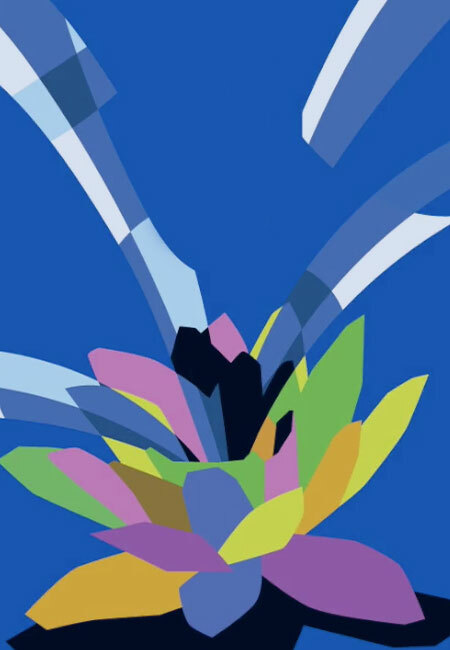 To celebrate this important achievement, the contemporary Italian artist Ugo Nespolo designed a new special edition label. 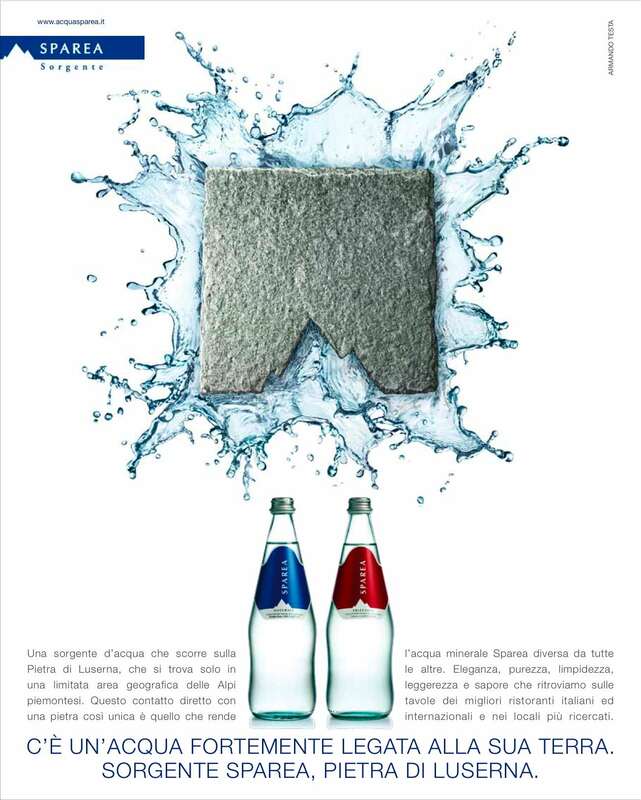 The label is a modern and lively reinterpretation of the concept of water spring. Acqua Sparea was born in a little area of the Piedmont region Alps. A high-quality, light, and pure water, thanks to the Luserna rock on which it flows from the very spring. Today, its unique qualities and unmistakable taste have been enclosed in a new format, a small glass bottle with an elegant design to make every single sip a special experience. 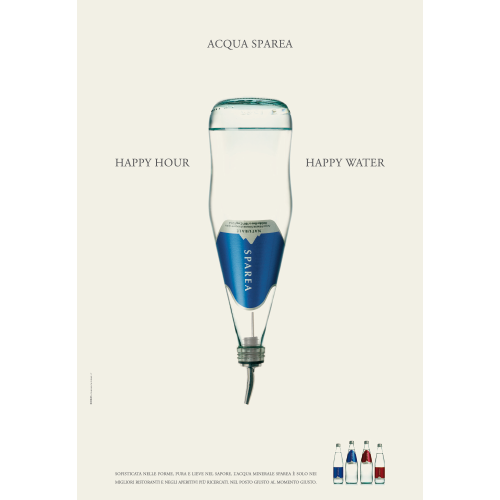 Acqua Sparea announces the birth of the 8.45 oz. format, and presents the Turin foodservices that have subscribed to its launch. 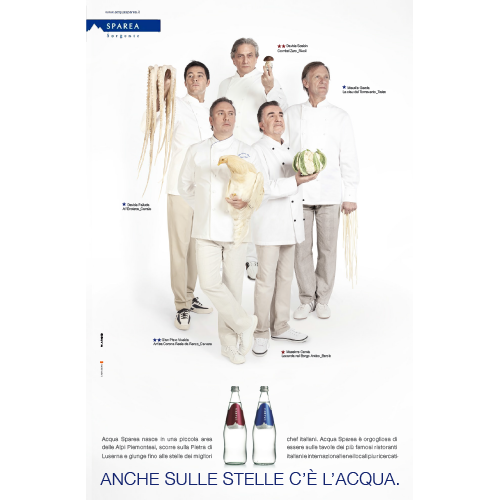 Acqua Sparea was born in a little area of the Piedmont region Alps, runs along the Luserna rock, and reaches all the way to the stars of Italy’s most accomplished chefs. 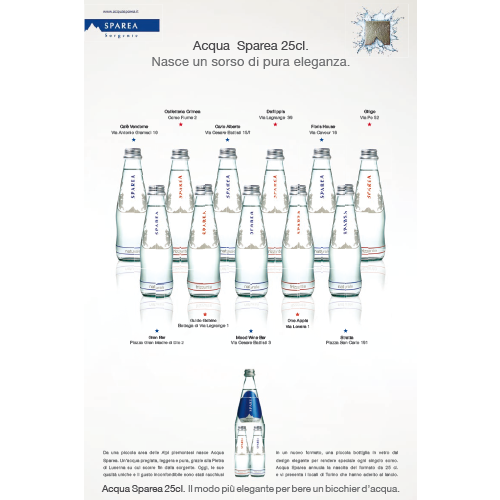 Acqua Sparea is proud to be on the tables of the most famous Italian and international restaurants and sophisticated bistros. A water running from the very spring along Luserna rock, which may only be found in a limited geographic region of the Cottian Alps. It is indeed the direct contact with such a unique rock that makes Sparea different from all other mineral waters. An elegance, purity, transparence, lightness, and taste that can be found on the tables of the most renowned Italian and international restaurants and sophisticated bistros. 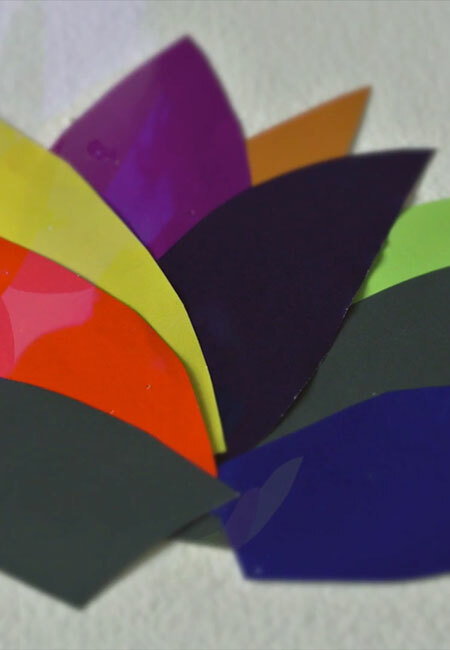 Refined forms, pure and light flavor. 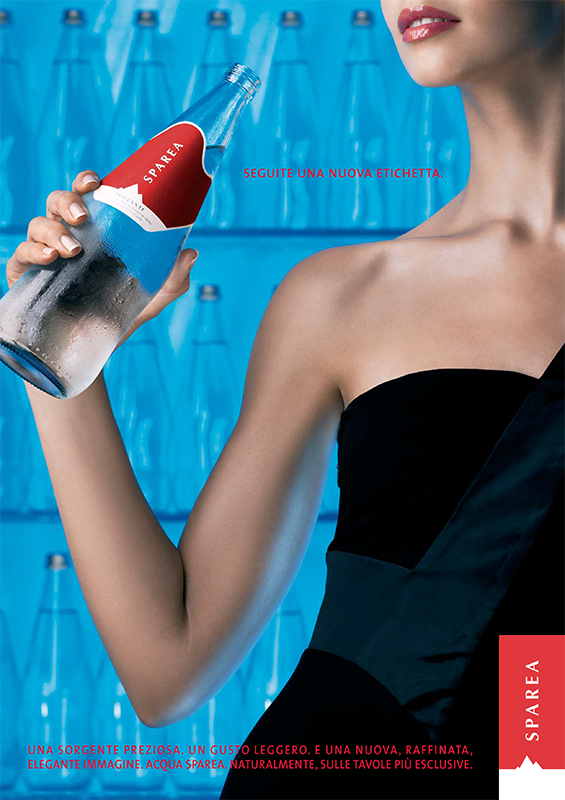 Sparea mineral water only features at the best restaurants and sophisticated aperitifs. At the right place, at the right time. A PRECIOUS SPRING. A LIGHT TASTE. 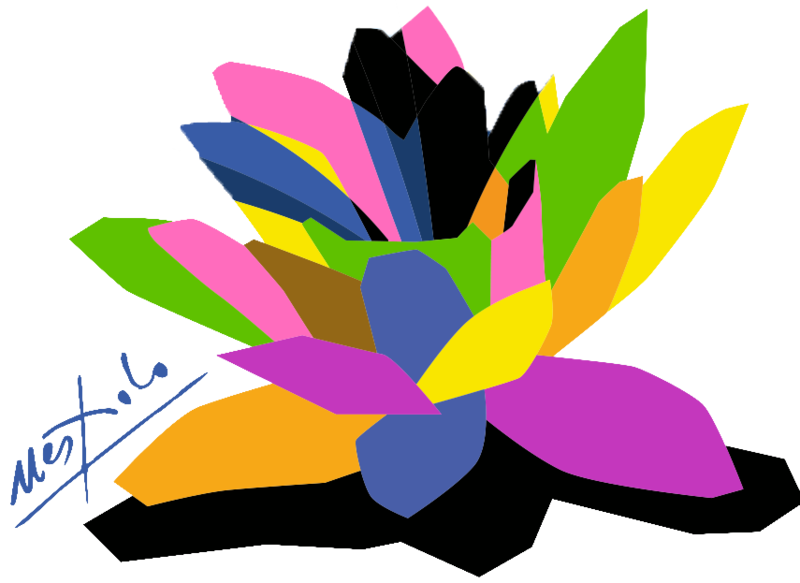 AND A NEW, ELEGANT IMAGE. ON WORLD’S MOST EXCLUSIVE TABLES, NATURALLY.